I was browsing through Boots recently and picked up this amazing shower gel for just under a fiver. That seems a lot considering other brands, but it reminds me of the Philosophy ones I love so much - and is a great deal cheaper than them! It also comes in really cute packaging and sweet gingerbread is the perfect scent for autumn! The bottle has a cute message on the outside and the creme inside is sparkly and smells like a combination of lemon, cinnamon and ginger... nom nom nom... I like how it's not too strong but leaves your skin smelling nice afterwards :) Overall, it's a pretty gift that's perfect for October! I just love you blog! So cute! I'm you newest follower! I hope you follow back! Hi! :) Thank you for the comment and visit. Your blog is so lovely <3 and I'm following you back of course! thank you so much for your comment dear! I really like ginger bread smell!! SO good! 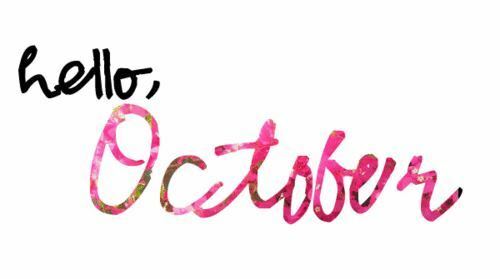 I love october too, because it's my BDAY month! ohhh cool, is Violet really your name? I like the name violet, i use it too but of course its no my name,, i just like it haha... anyway you have a cute blog! Follow for follow? I'll follow you now. hope you can visit my blog and follow back! Fantastic ! Would u like to follow each other ? Thanks for the love comment on my blog. i love your blog and all the beauty. but i agree...halloween is really cool. are you a japanese and art student or are you japanese (live in japan) and study art? If you have time, please come by and check out my blog and maybe follow?